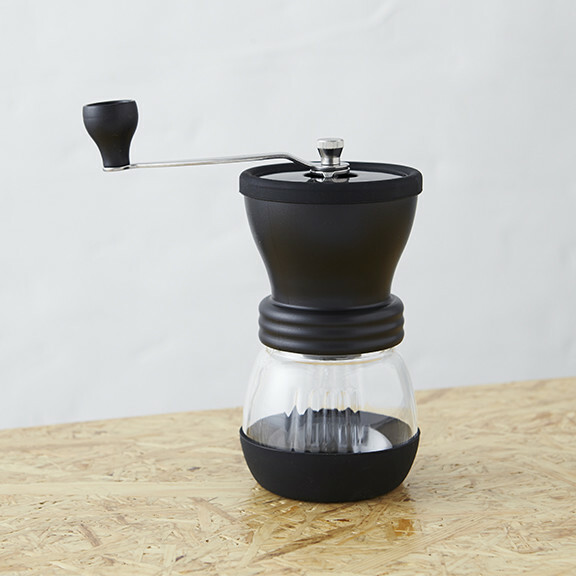 This remarkable grinder is made by Hario and features ultra-sharp ceramic conical burrs. The burrs are adjustable, and lock into place when you've found that sweet spot, grind-wise. There is no motor, so you have to work a little harder. But the quality of the grind is unsurpassed by grinders that cost ten times as much. The perfect grinder for traveling. Just fine staying at home, too.